Are you struggling to find the best way to showcase your children’s artwork? If so, why not consider adding it to a canvas? More and more people are experiencing the delights of canvas printing today, and advancements in printing technology have made it easier to achieve exceptional results even on a limited budget. Seeing your child’s artistic skills evolve can be incredibly fascinating, and chances are that you’ll amass a vast collection of drawings and paintings from your little one as the years pass by. Your refrigerator only has space for a limited number of artistic pieces, but with canvas printing, you can add more of their works to your wall. 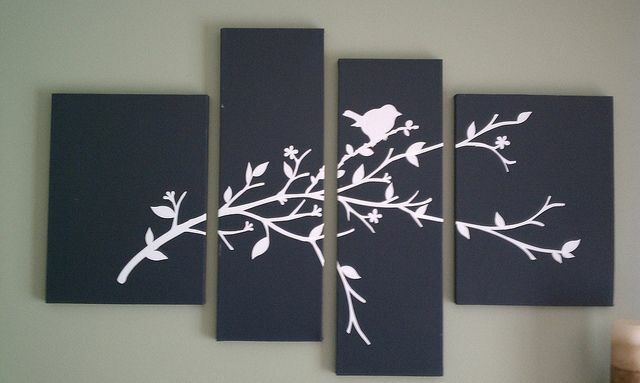 A large number of parents choose to create an art wall at home for their offspring’s artistic endeavors. There are many options available to you when it comes to choosing a wall, including your lounge wall and their bedroom walls. No matter how abstract your child’s pieces may seem initially, allowing your little one to be creative is incredibly important, and showing their works off can send them the message that their efforts are valued. Of course, your child may create more pieces than you have space for over the years but, if you are struggling to decide which pieces to show off you could choose milestone paintings like their first-ever piece and drawings that depict your family. Holiday drawings are also a popular choice. There are many companies on the market who can add your child’s drawing to a canvas for you. Typically, you will get the option of sending the original artwork or scanning it and providing them with a digital copy of the artwork. One of the main benefits of printing your child’s drawings onto a canvas rather than paper placed behind glass is that this method means you don’t have to worry about glare from lights compromising the visibility of the piece. Canvas prints don’t normally have an outer frame, which means the images can blend into your wall seamlessly and greater focus can be placed on the image in question. When canvas prints are created, the material the pictures, drawings or images are painted onto is usually polyester or cotton. Cotton tends to be more expensive due to the way it is penetrated more deeply by the ink, leading to better colour. Canvas printing is incredibly affordable these days. To keep your prints looking great for longer, make sure you opt for high-quality stretcher frames and canvas material. The inks now used to print on canvas penetrate the canvas very effectively, and there are other treatments that you can choose to heighten longevity so the results can be passed down the generations. As your child ages, they are almost guaranteed to be fascinated by the work they produced when they were much younger. Canvas printing allows you to show off their art in style. There are many different options available when it comes to size which means you shouldn’t struggle to find the solution that you require whether you are buying a small print or wish to create a vast feature wall with a number of prints. Growing numbers of people are now buying canvas prints as gifts, and it’s not uncommon for parents to order several copies of their child’s artwork to pass onto grandparents and other relatives. Canvas prints are also great for showing off your family photographs and any other images you might have taken over the years. People opt for canvas printing as the results have an art gallery-esque look. Over the years, they have started to capture the imagination much more than conventional framed photographs. Adding a famous image to a canvas is also a common move, and more and more people are having iconic artworks committed to canvas instead of opting for framed photographs for a more authentic look. Many people agree that canvas printing has an exceptional ability to make photographs come alive, and there are many reputable companies on the market that can help you achieve the hugely-artistic results that you desire, whether you’re on a tight budget or have more to spend.